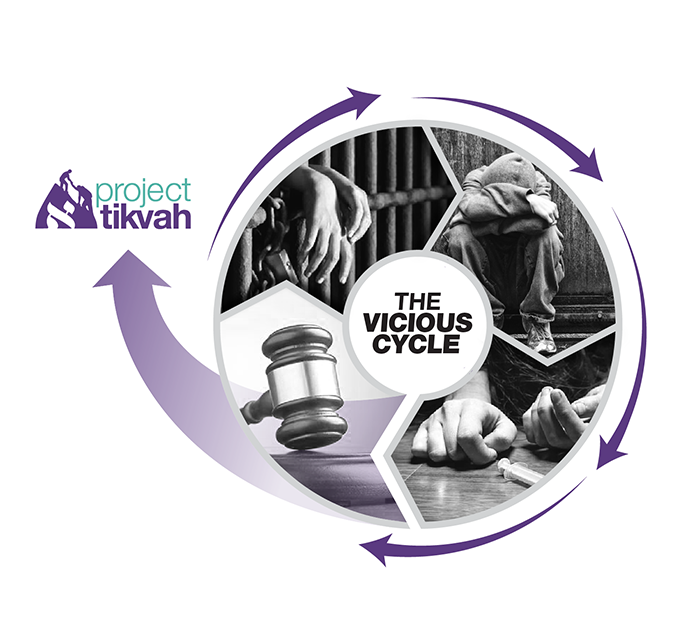 Project Tikvah, addresses the problem of repeat incarceration of young adults struggling with mental illness and addiction. Tikvah advocates for alternative sentences and works with professionals to develop comprehensive road-maps to recovery for affected youth. There is an alarming demographic of troubled young adults who are facing incarceration or headed that way. But they are not criminals. They are lost souls acting out due to mental illness or addiction. Too often, they get trapped in a vicious cycle of incarceration, hospitalization, homelessness, relapse, and sometimes even death. Their parents are devastated too, feeling lost, ashamed, and desperate for support and guidance. Young adults with mental illness and addiction who are facing incarceration or headed that way. Whether in jail, rehab, mental institutions or on the streets, troubled youth and their families are served. Provide ongoing spiritual and moral support throughout treatment and beyond, often becoming friends for life with recovered members and their families. Create circle of kindness for those in custody or institutionalized via constant visitations, care packages and lifeline care. Project Tikvah, an initiative of the Aleph Institute addresses the problem of repeat incarceration of young adults with mental illness and addiction. It advocates for alternative sentences and works with professionals to develop comprehensive recovery plans for affected youth. The Aleph Institute, founded in 1981 in the chambers of Honorable Jack Weinstein of the Eastern District of New York, addresses the needs of thousands in institutional environments such as prisons and mental health facilities. Aleph also provides spiritual support for military personnel in the US Armed Forces.